As I continue down the path of being the next in my family to take over our farming operation, it seems like responsibilities continue to pile on. Usually I’m getting a handle on one thing, when something new comes up and seems to overwhelm me again and the cycle continues. I’m not complaining about this cycle, I know that I have a lot to learn about this whole farming thing, and I love that I’m always learning and growing. So did you know…corn roots grow over six feet down into the ground?!! 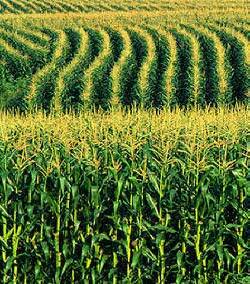 By stressing the plants, farmers are able to persuade corn roots to grow further into the ground to get nutrients. In other words by stressing the corn, you get a great root system that helps keep the plant strong and growing throughout the season. I think of this in relation to my life, growing up and now living back there and trying to grow as a woman, farmer, and business person. As my responsibilities become larger and larger, I’m finding that stress is coming right along with all of that. It’s stress that I know will subside as I get better at my new jobs in our operation, but recently it’s been really getting to me. 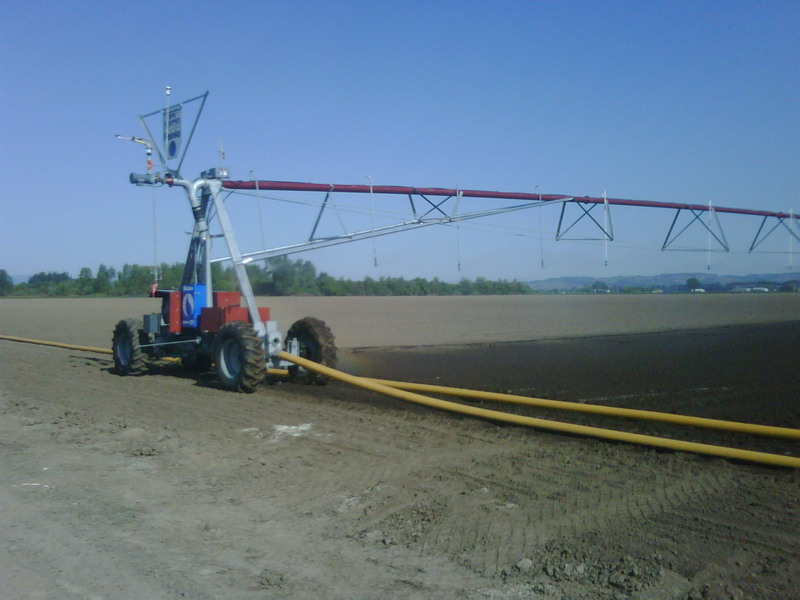 We recently got a new linear irrigation system, one that I’m in charge of learning how to run, running, and taking care of. Well ever since the darn thing started running I’ve been getting up 2 or 3 times a night in a panic, having a dream that the linear was walking out across the prairie with nothing stopping it! Although in reality it would hit many many trees if it did start to walk away; it doesn’t matter, it’s 3am and I’m in a panic! I also have been known to sleep walk and talk, so I’m just waiting for the night that I wake up walking out my door, screaming for the linear to stop, and headed out across the prairie!! Hang in there, Brenda! Sometimes you have to take each day an hour at a time. I have watched my Husband grow and take on more ranch responsibilities over the last 8 years. I have all the confidence in the world that he (and I) can continue a successful business after his parents retire. I am willing to bet that your folks have the same confidence in you! Everyday won’t be easy, but you are smart and capable. Thanks for your words of encouragement. It’s nice to be reminded that all farmers have gone through this, and nobody really comes into running an operation without stress and hickups! For some reason when I see people a few years older than me running things I assume that it’s just always been that easy or fluid for them to get things done. But you’re right, we’re all in the same boat 🙂 Thanks so much! clouds and thatn worring about a hail storm. This was back in North Dakota.